I have recently been trying to research Preparation for Overseas Movement Markings (or POM Markings), in order to identify the units to which some of the items in my collection were sent. These markings consisted of a 5 digit number, and three coloured bars representing the number. 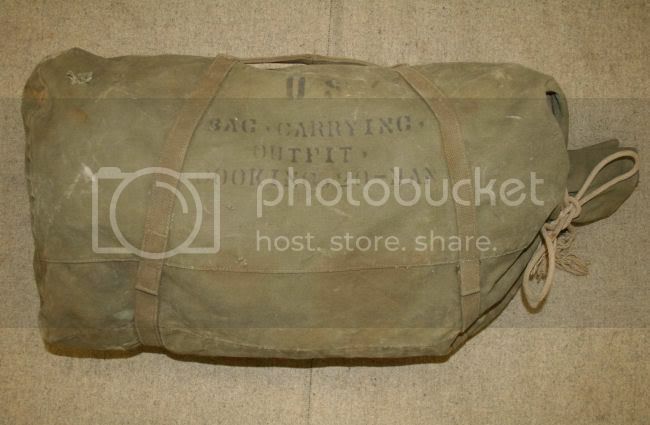 They were used to replace unit identification for the purposes of moving materiel overseas, and unfortunately not a great deal of information has been made available about their use during WW2. There are a number of questions that I still have surrounding these markings however, and I wonder if anyone on this Forum might be able to assist. 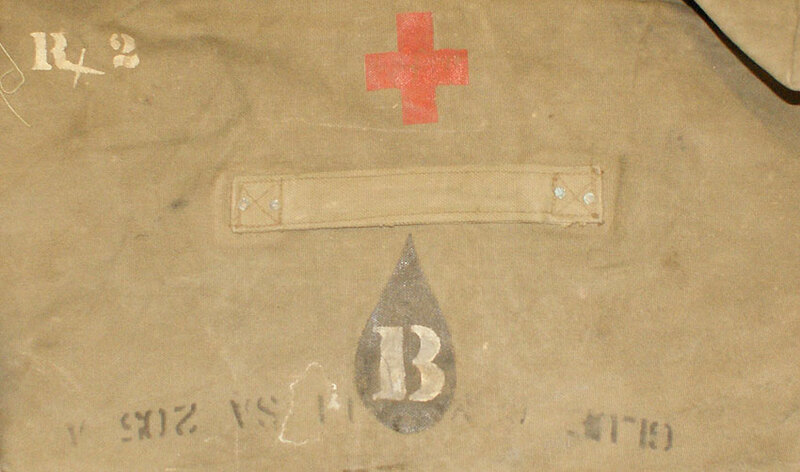 Firstly, to what level were the markings assigned (for example Divisional, Regimental or Company)? Also, does anyone know of a source which offers a list of the codes and their corresponding units? Jon Gawne has gone the extra mile to discover the list for the various units that were issued the 5 digit numbers for invasion purposes, but without result. The list is either destroyed or buried somewhere in the Archives. 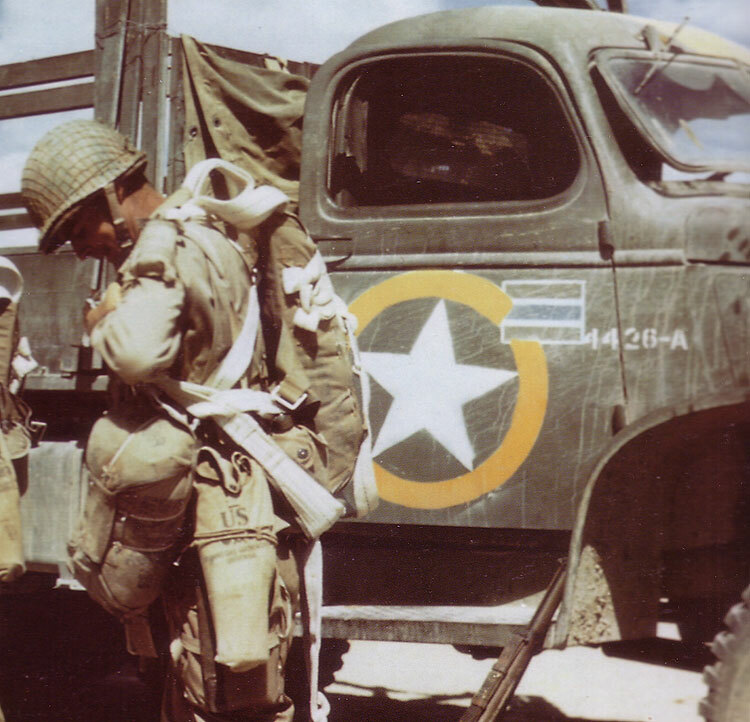 I think the colored bars go back to the Sicily invasion and were used mainly in the ETO. 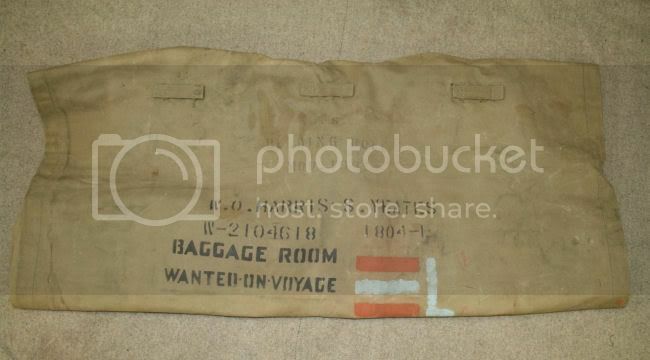 Here's an example on a makeshift Officer's mapcase from my collection. This one came from Normandy too. Thanks for your reply. I meanwhile note your comments about the endeavors of Jon G. It would seem that numerous people have attempted to research the topic in the past, but with little success. 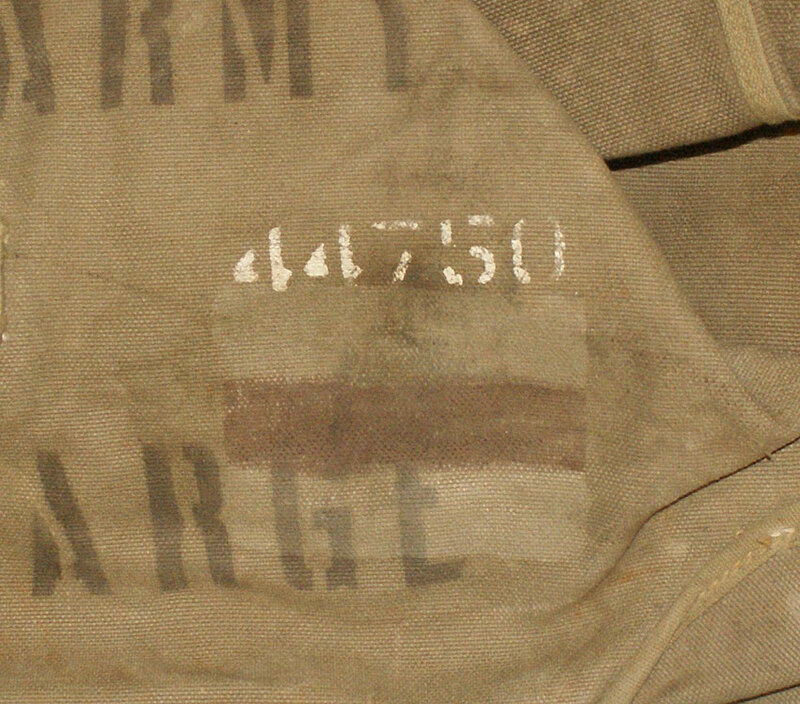 I did come across one source which indicated that the POM markings for Company E, 1st Infantry Division were 43366. As such, it would seem that perhaps the markings were indeed issued to Companies. With regard to your comments about starting a database containing all of the shipping codes and colours from identified items in collections, this was in fact the only solution I could think to try and recompile the list. I shall consider ways of which we can achieve this, coordinating everything. Out of interest, what unit was Harry Whitney a member of? I have a number of items which currently have these markings painted on them, and will photograph and collate everything. Ben wrote: Out of interest, what unit was Harry Whitney a member of? The same letter L is painted next to the color bar code. This is certainly an interesting variant, and one which I have not seen before. It's interesting to note that the "L" character matches the colour of the middle bar. 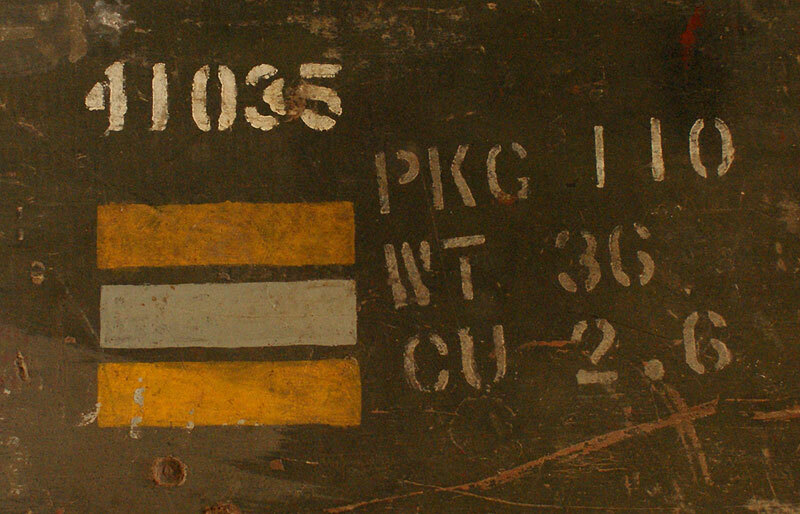 Unfortunately, I don't know of any more information about the unit, and as far as I can tell, there are no other indications of unit markings on the Crate itself. Which reads "GLUE G MED II SA 205 ADV". If anyone can provide any additional information about these markings, kindly let me know. Here's another example, but sadly no history on this one. I have been racking my brain to figure out where I saw those numbers referenced and finally figured it out. If you can find Annex 2 of the Operation Neptune Operation Plan, about half way thru it talkes about changes to the "First US Army Consolidated Build Up Priority Tables". Column B of that document looks like it has those numbers. Annex 2 only has changes (about 44 pages worth ) so not all the information is there, but you can see some of the unit numbers were replaced by others as well as changes to the places (camps? ), units, vehicles, pax, etc. If you could find that Build Up table, I think you would have full circle on this research. It took me a while to find as I had to remote to a computer at home via satellite which is dog slow. The actual table we are looking for might be on one of my external hard drives, but I won't have access to that for a month or so. Looking at the change list, almost all of the numbers start with a 4xxxx. There are a lot of 42xxx and 43xxx and some 44xxx. There are even a couple 30xxx. So not all the Normandy units started were 4xxxx! I could not find any of the unit numbers previously listed in this topic on the change list. I'm tring to figure out where I downloaded the OPPLAN to see if the Build Up tables are available. As soon as I find the link, I'll post it. This lead certainly sounds very interesting, and I'm most anxious to learn whether or not you still have access to the files. Any help on this would be most gratefully received indeed, and I really am keen to learn more about these markings. I will continue to search for the document, and as soon as I have anything to report, will post back here. I don't remember Ben. I remembered seeing the numbers and wondering about it but didn't know to make the connection to the color bands. As I said searching a remote computer with RDP thru a satellite link ... you know what I mean. To be honest, I don't think I have ever seen the color bands on any piece of equipment here in the States. I'm quite sure I don't have anything in my collection even after almost 20 yrs worth of stuff. I think I have located the document on my computer actually. I have just printed it all out (around 200 pages) and will go through everything to see what can be gleaned from it regarding these particular markings. Johan > I found this picture whilst researching another topic for a friend. You'll not the variation of POM markings on the cab door of the GMC. It would seem that this particular format of four digits and a letter was in fact a system from an earlier Operation (in this instance, Torch). 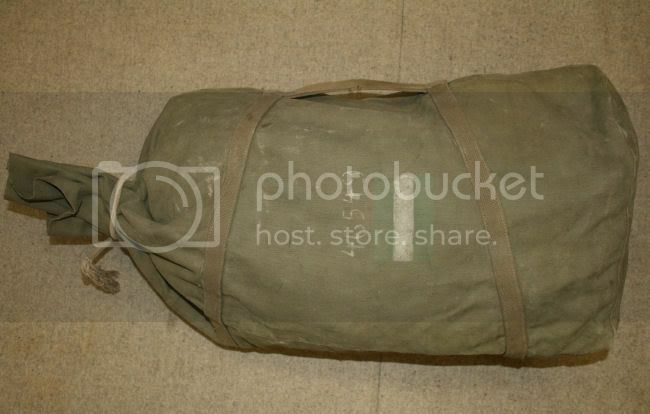 Perhaps the bag and markings that you posted up actually pre-date the Normandy campaign? Do you mean you have the build up tables? No, sorry for the confusion. I should have been clearer. I have found Annex 2 to which to which you refer. No problem Ben. I wasn't sure if you got lucky right away. I was going back thru what I had - I was looking at Annex 2 of the V Corps OPPLAN for Neptune. For 1st Army, I don't have anything from before Annex 9. Not sure if the Build Up table was in Annex 2 of the 1st Army plan or if it was a separate document. Still can't figure out where I downloaded them from to determine if anthing more is available. I think that it would be wise to keep this particular list up to date as we learn of more Codes and units etc. As you will note, the list contains the codes that we know to have existed, but for the majority, complete data are missing. If anyone can complete the information that has already been gathered, kindly let me know so that I can update same. I'd certainly welcome your comments and thoughts.